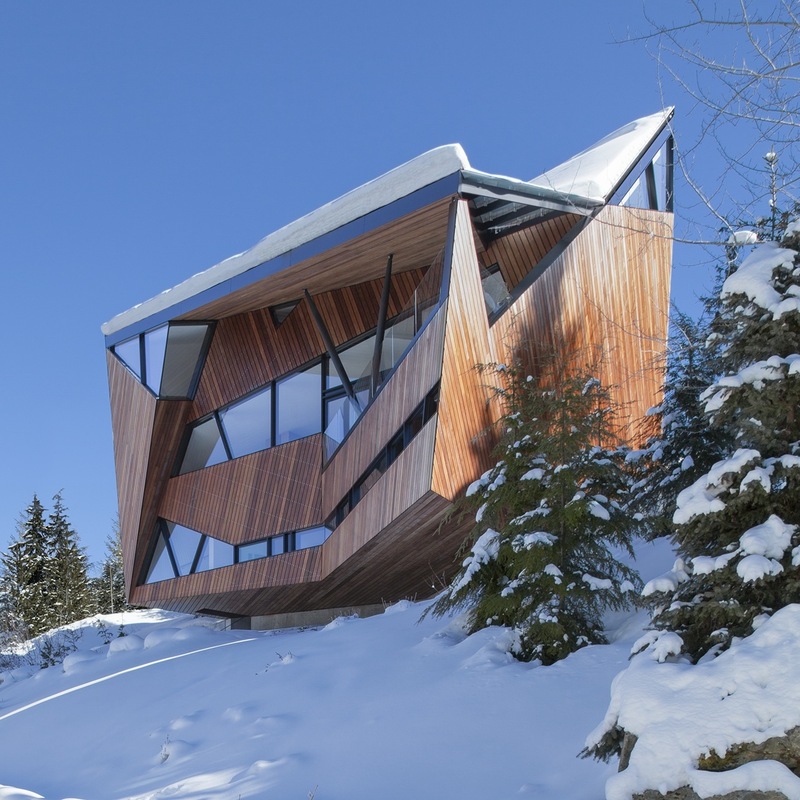 When you envision a British Columbia mountain retreat, do you immediately envision a timber log cabin nestled on amidst a glade of evergreens on a snow-covered slope? Patkau Architects' Hadaway House dares to defy expectations. 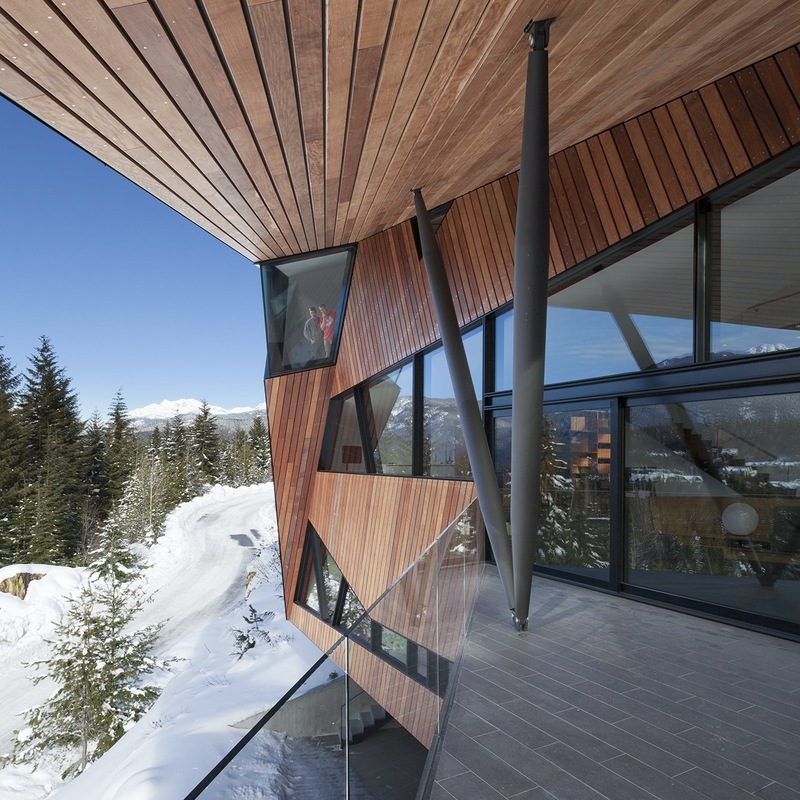 This 5000 square foot dwelling perched atop a northwest slope, offers its residents a beautiful panoramic vista of southern's British Columbia's Whistler valley. 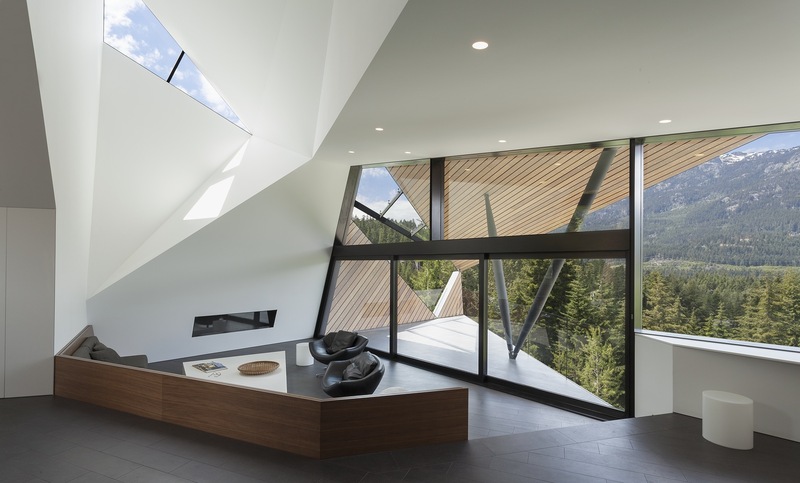 Completed in 2013, this ultra-stylish home bites its thumb at everything you would expect to find inside a mountain retreat in frosty Whistler. The exterior of Hadaway House is sharp and angular, making use of irregularly shaped forms to inspire delight. 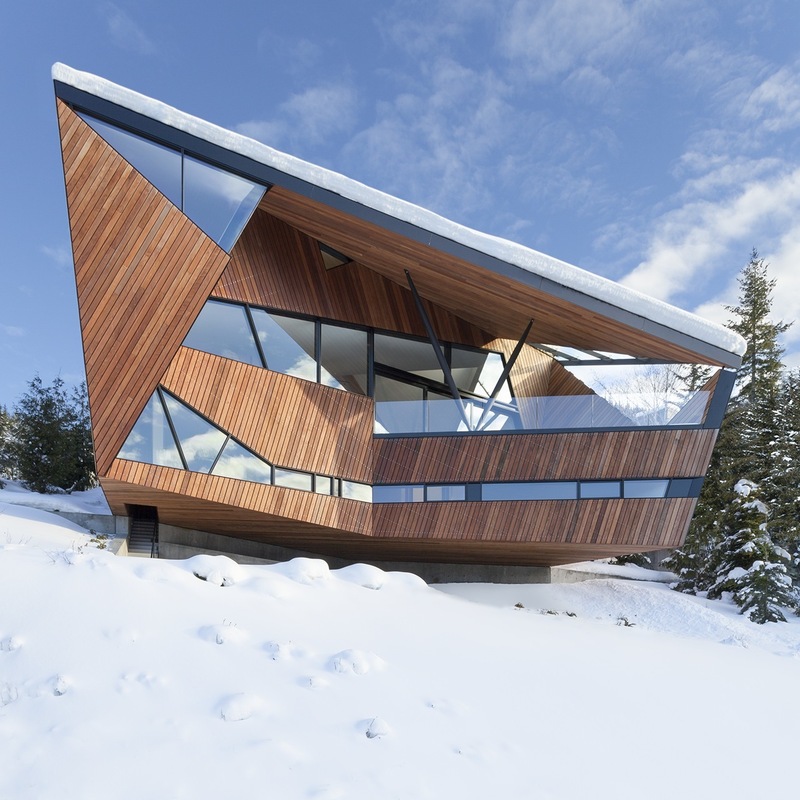 The exterior wood cladding of this country abode pays homage to its predecessors’ heavy timber forms, as does the steeply sloped roof to the surrounding mountainous terrain. 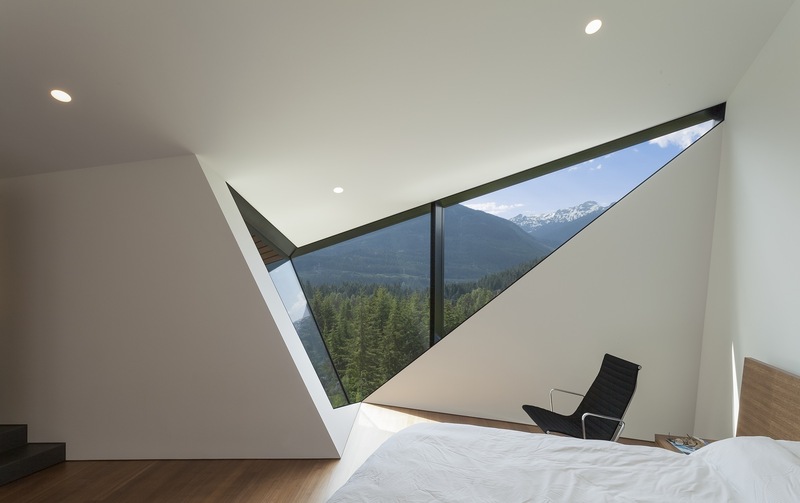 Streamlined, jagged fenestration offers uninterrupted sight lines into the valley below, while reflecting back kilometres and kilometres of sky to the outside viewer. 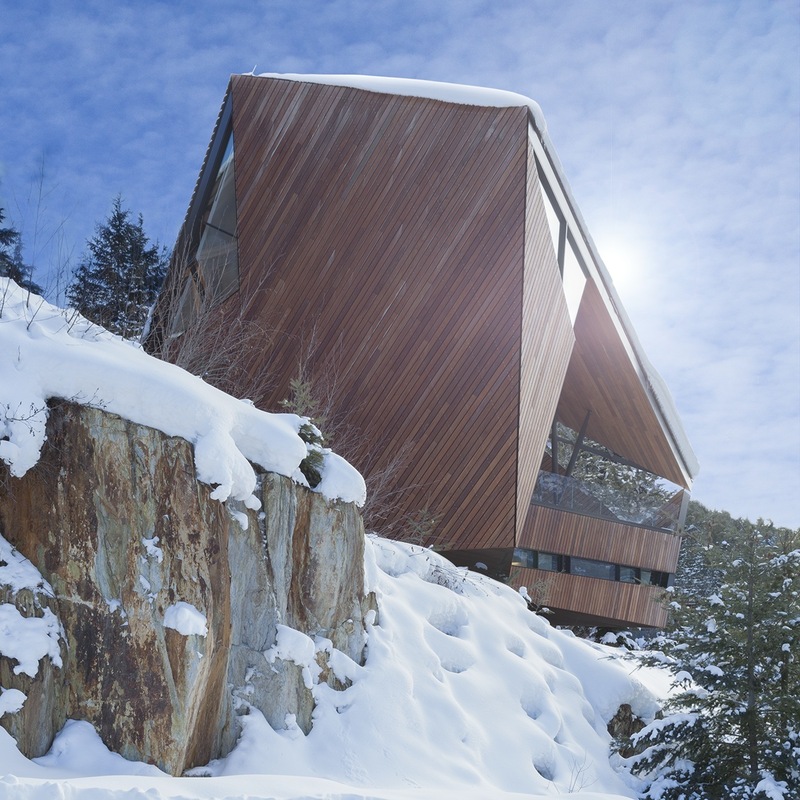 A cantilever springs out of the space, providing ample solar shading and a covered deck area suitable for life in snow country — an area to leave wet clothes out to dry, or a space to just hang out in the outdoors, meters away from electricity and heat. Upon stepping inside, the main levels open up into a large open space encompassing living, dining, and kitchen areas. As for construction of the building, Hadaway house is a hybrid scheme of monolithic and framed systems. The lower floor primarily consists of concrete slabs, while the upper levels are a “composite steel and heavy timber structure with wood-frame infill” (Patkau Architects). Due to the concrete floor's thermal mass, the lower floors' heating and cooling costs are reduced, while the natural ventilation from the lowest level, on the north side to the central rift at the top of the house, is just the cherry on top! I could see this being one of the sets of a Bond film, wouldn't you agree? Hats off to Patkau for pulling off such an original design on a tough site in a tough climate. And hats off to you, Mother Nature, for providing the best backyard ever. See more stunning architectural edifices at Patkau Architects!